Today, we speak with Emily Woods of Sanivation on how one episode of Finding Impact helped her re-think how her company’s culture and values were created and defined. Emily talks about the process of defining the company culture and establishing its values in advance of a high growth phase. The first time they had done this exercise was in 2015 when the company had 15 employees. At the time, they established seven core values but it seemed that these were too numerous for employees to remember and act upon. They decided to do a second exercise to define the company’s purpose and values, which was inspired by FIP’s Episode 63 with guest Ayla Schlosser. Multiple people within the company had recommended the episode, and Emily found that Ayla not only gave a clear description of her organization’s purpose but also really showed why company values are important. She realized that Alya’s hummingbird story was really great for Resonate, but would not work for Sanivation. Emily noted that the story of the sanitation sector was that people were always looking to solve a problem, but not necessarily thinking through how to do it in the clear and best ways so the hummingbird story would need some adaptation. Emily employed Ayla’s process for drafting company values in Sanivation, including making sure that everyone at the company was consulted and asking everyone what they are proudest of about the company. Sanivation’s culture creation process focused on the management meeting with each team to discuss the current core values, if they remember them, and how they use them. That information was taken from each team to a day-long workshop with the managers, where discussion continued. Emily learned that it takes a while for people to think about what they are most proud of and would even recommend that companies take even longer with this process to ensure thorough feedback. For Sanivation, the outcomes of the second company value creation workshop reduced the number of values from seven to three. Sanivation’s corporate values are: passion for impact, putting people first, and delivering results. From these core values, Sanivation wants to go on to create competencies upon which evaluative KPIs can be used, as well as decision principles for staff to use in everyday operations. 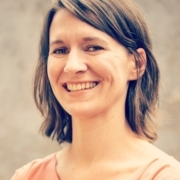 Lindsay Stradley is co-founder of Sanergy which is making sanitation hygienic and affordable in Africa’s informal settlements using a franchised network of toilets run by local residents. Sanergy converts the waste into valuable byproducts, which are sold to keep the system sustainable. 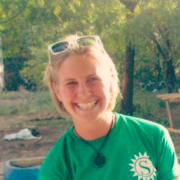 Lindsay is an alumni of MIT and Yale, she founded a charter school in New Orleans after Hurricane Katrina, has worked at Teach for America and Google, and now lives in Nairobi, Kenya. 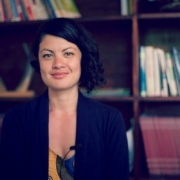 Lindsay draws on experience from her earlier career when starting up a charter school. She had to show up where customers were, which meant traveling around south-eastern America to let everyone know that a school was opening. And at Google it was her experience thinking about scaling effectively. Sanergy has a B2B (business to business) relationship with clients. They segment them by their businesses, which meant (1) Small-business owners (e.g., kiosks, water points); (2) Schools & other community institutions; and (3) Landlords. For each of your customer segments, it’s essential to understand the value you’re creating for the end user and their decision making criteria. Across all three of their customer segments, Sanergy offers the same core product, but with a slightly different bundle of services and ancillary products that speaks to their needs. They started their business focusing on the most obvious need and demand within the community, which became their first customer segment. Then they expanded out to the next biggest area of demand – within schools – and then the next – landlords. Starting in this way helped them establish their brand within the community and iron out any operational kinks. Within the first segment, it was actually split into two sub-segments. So segmentation is continually evolving as the customer base grows. To test product-market fit with each of these segments, they utilise their field teams to get qualitative feedback from non-customers on where the gaps are. Pair this with available data, then pilot! And hone in on the early feedback from the new customers on effectively filling the gap. At the beginning, all customers were on the same price point but now they have differentiated pricing for each customer segment. They look at the cost of materials and cost of serving the customer segment. They even moved away from their traditional asset sale pricing for their landlord segment, moving to a subscription model, based on an understanding of the decision making process of this customer segment. Thinking about setting prices initially, social enterprises need to understand their costs at a certain scale, and after adding your margin, this is a starting point for your pricing. You then need to decide whether you are willing to take a loss to reach a certain customer, or take a loss on a cashflow basis because you assume that you’ll make up your margin during the lifetime of that customer (over the long term). To determine who in your business has a relationship with your customer, you start from the operational needs, and then figure out how best to leverage those customer touch points to serve the customer as much as they need. In terms of whether Sanergy train their staff in different ways, depending on which customer segment they’re serving, they’ve gone back and forth on this. It’s only their sales team that are split by geographical area, but not per customer segment. Mainly because most new customers are coming from one of their three customer segments, so most of the sales teams are focusing there. Also, their operational efficiency was being limited when splitting customer service agents by a specific customer segment. So now they focus on a geographical area in the first instance. When first thinking about customer segmentation, you can see how other businesses operating in your geographical area (and serving the same customer demographic) are doing it. When Sanergy first started, they studied the marketing, sales and operational processes of Coca-Cola and M-Pesa. Both of them use a B2B network to reach an extremely high percentage of customers in Nairobi’s informal settlements.